The sound of snow under your shoes. Soft whispers of the wind gently blowing snow off the three tops. The sound of your breathing. In winter, there is not much more to hear around Lake Weissensee. The Weissensee nature park in the south west of Carinthia is a place of true serenity. Away from tourist crowds and perfect for nature lovers seeking relaxation. A winter stay in the nature park hotel Das Leonhard is peaceful, relaxing and – thanks to an extensive winter sport programme - never boring. From skiing to sledge rides. The largest natural ice skating surface in Europe is surrounded by an unspoilt winter sports paradise. Discover it for yourself and book your holiday in the Das Leonhard hotel on Lake Weissensee in Carinthia. Who would've thought that there is an ice skating paradise in the south west of Carinthia? Every winter, Lake Weissensee freezes over, forming a 6.5km2 nature ice surface. The ice is up to 40cm thick, which means that it is perfectly safe for different sports activities on ice as well as for horse-drawn sleighs or just walking. In the Das Leonhard hotel, a special welcome gift will surprise all cross country skiers: cross country skiing trails around the hotel. In the upper part of the valley, 55km of double trails and skating trails will wow cross country skiing enthusiasts. The location at 930 to 1400 meters above sea level creates the perfect conditions for cross country skiing trails for beginners as well as for professionals. 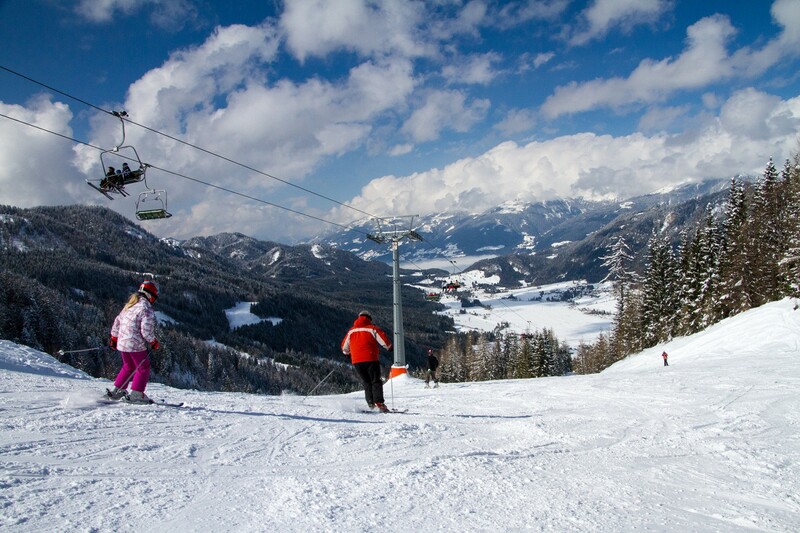 The Weissensee ski resort is ideal for families thanks to its easy and intermediate slopes. The BOBO world is the perfect place for all our youngest skiing enthusiasts. 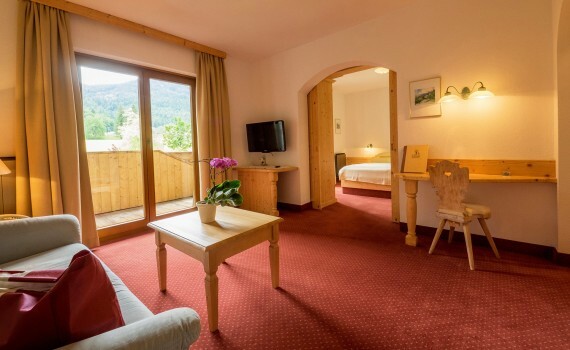 One of the biggest advantages is the ideal location of the Das Leonhard hotel. The nature park hotel is the only establishment on Lake Weissensee where you can ski straight to its door step. 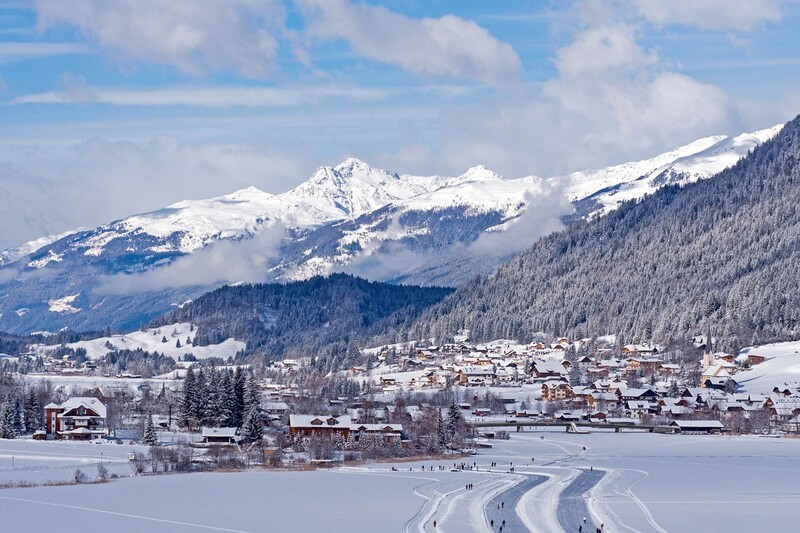 The nature park hotel Das Leonhard is the perfect starting point for discovery tours in snow. In the middle of charming nature, our guests only have to take a step out of the house and they will already find themselves in winter paradise. Beside typical winter activities, such as skiing, ice skating and cross country skiing, sports enthusiasts will be able to enjoy the fresh winter air. 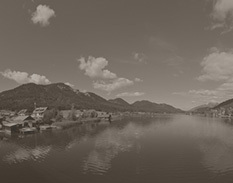 You have never had the chance to experience Lake Weissensee yet? 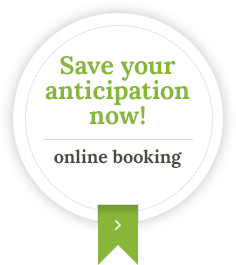 Book a room in the Das Leonhard nature park hotel and discover it on your own. The team at the four-star hotel is looking forward to your non-binding enquiry.